Have you evaluated your employee scheduling processes lately? Poor scheduling hampers profitability and growth and dampens customer and employee satisfaction. Effective employee scheduling provides multiple benefits for everyone in your company. Business owners can use affordable employee scheduling software to optimize employee scheduling. Is Your Employee Scheduling Broken? Here are 13 red flags that may indicate that your employee scheduling is causing problems in your organization. If your managers are using the same strategies they used ten years ago, there is probably room for improvement. Business operations have probably changed dramatically in that time. Depending on your industry, you have no doubt adopted technology that has impacted processes. You have probably introduced new products or services. You may have expanded your business to multiple locations. These types of changes impact staffing needs. If your employees are frustrated, find out if it has to do with shift schedules. Inflexible scheduling is hard on employees. So is variable scheduling. Employees also hate it when schedules aren’t posted in advance. With these practices, they can’t balance their work and personal responsibilities. Schedule confusion also causes problems. If they can’t see their schedule from their phone, you are failing to take advantage of inexpensive cloud-based time and attendance software. Frequent short-staffing may seem an obvious result of poor scheduling—but many managers blame it on other factors. Short staffing has many ripple effects. It should be avoided at all costs. With spreadsheet scheduling, it’s difficult to get a handle on this problem. If your employees aren’t involved in time and attendance and scheduling to some degree, your managers are working too hard. Especially if they are using spreadsheets instead of scheduling software. Allowing employees to relieve some of the scheduling burden is easy with employee scheduling software. If your absenteeism has been trending upward, you need to figure out why. Talk to your employees and managers. Better scheduling could turn this problem around before it does any more damage. Automated time and attendance systems help you track and manage employee absences. The unemployment rate is lower than it has been in years. In many industries, the lack of qualified workers is a serious problem. Some manufacturers are hiring ex-convicts and even current prisoners who qualify for work-release programs. Workers with limited English skills are landing jobs previously unattainable. The labor shortage is most acute in large metropolitan areas. Employee scheduling can have a significant impact on turnover. If you have part-time, hourly employees, it’s more important than ever to accommodate your employees’ schedule preferences as much as possible. Giving employees more control over their schedules may lower your attrition rate significantly. Word gets around. Especially in smaller communities. If your company is known for bad employee scheduling practices, you will only attract the most desperate candidates. Employees care about wage levels, health benefits, and workplace culture. After health insurance, a flexible schedule is the most-valued benefit for employees. Some employers have distinguished themselves by offering more vacation time or other scheduling perks. When trying to compete with a shrinking pool of candidates, you can only raise wages so far and remain profitable. You can, however, offer more attractive schedules. Workforce management software can make employee-friendly scheduling easy. Planned overtime can save money if managed wisely. We’re talking about unexpected overtime. If you frequently ask employees to stay after their shift ends, you aren’t forecasting staffing requirements. Maybe you don’t realize how often it happens. Employee scheduling software can provide analytics and tools for better forecasting. As with overtime, the use of temp workers can save on labor costs. But when they are used at the last minute as a stop-gap measure, it points to poor employee scheduling. Has the number of customer complaints increased? It may be due to staffing problems. Understaffing or employee misallocation can affect service levels. Savvy business owners respond quickly to solve service problems early. 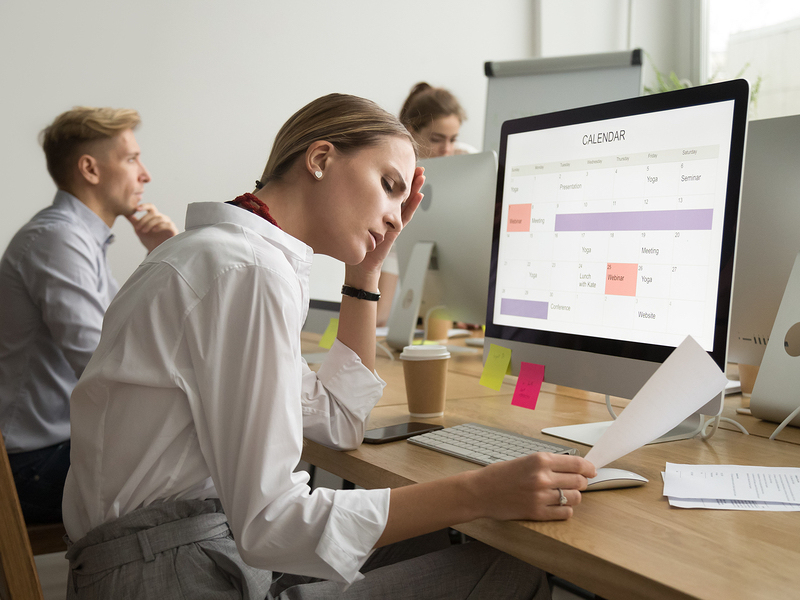 If you can’t trace it to a non-employee issue (such as a materials shortage), frequently missed deadlines could be due to understaffed shifts. Time and attendance software can help you know when it’s time to hire more staff. It can also help you better optimize your current workforce. If your productivity is trending downward, look at your scheduling. If you don’t know how productivity and scheduling are related—see number 13. If you don’t have a way to look at scheduling effects over time, you are at a serious disadvantage. The importance of workforce management analytics can’t be overstated. See Workforce Management Saves Far More Than it Costs for detailed information on the ROI of WFM. Create schedules with templates, drag-and-drop employees into shifts, copy schedules forward. View schedules by team, week, or department. Handle part-time employees and varying shifts with ease. Templates for food service, manufacturing, healthcare, construction, and call centers. Employee Self Service enables staff to handle their own shift trades. Compliance tools for all Federal, State, and local labor laws. Mobile app with pinpoint GPS. Punch lockout for schedule enforcement. Contact a SwipeClock Workforce Management vendor to learn how you can use SwipeClock scheduling software to fix your broken employee scheduling.